Kenya is an amazing country, rich in culture, community and wildlife. Experience all this and more with our Kenya Summer Programme, five weeks of fantastic work experience and life changing moments that will give you all the adventure of a gap year in just five weeks this summer. All the communities that we work with are situated along the beautiful Kenya coastline so the beach will feature heavily in your time there. Most of our volunteers visit the beach to unwind after a day in school or to take a dip in the sea after a day of decorating or building work. We also include two weekends accommodation at the stunning Diani Beach which is a picture postcard paradise and is sure to make everyone back home very jealous! Go scuba diving, snorkelling, kite surfing and dolphin spotting amongst many other things. You can even ride camels! What could be a better way to spend your summer holiday? On the last few days of your amazing trip you get to spend time at an elephant orphanage in Nairobi with the David Sheldrick Wildlife Trust which is a world famous sanctuary for endangered wildlife. You also visit the Giraffe Centre where you can get up close to these magnificent animals and may even get a kiss from one! Finish your trip with a farewell dinner with your group at a famous restaurant in Nairobi before heading home to tell your friends and family about the amazing adventure. All this is packed in to just five weeks so it really is a gap year in your summer holidays! If you have been longing for the gap year experience but just don’t have the time to take a full year out of your studies then this is the perfect solution. 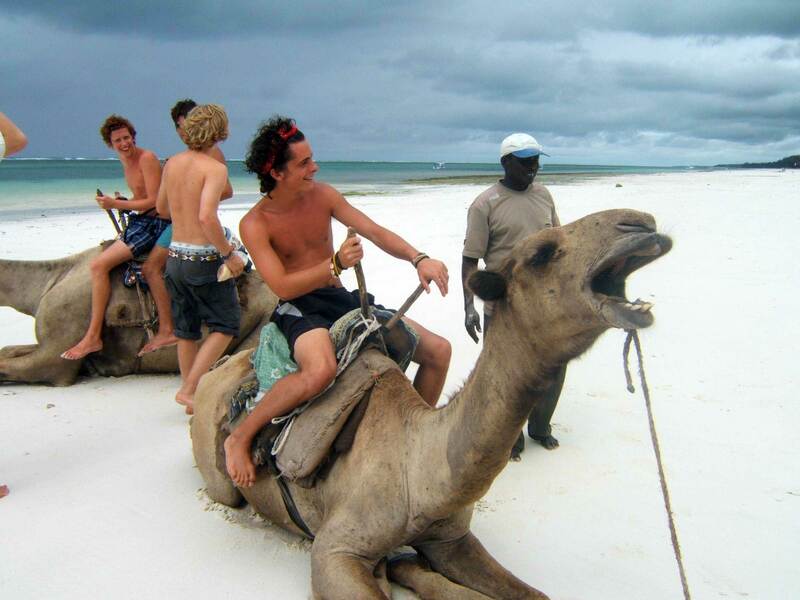 If Kenya doesn’t float your boat then why not check out our other summer programme destinations. Can’t commit to five weeks? Just let us know, we may be able to tailor a programme to fit around your dates.